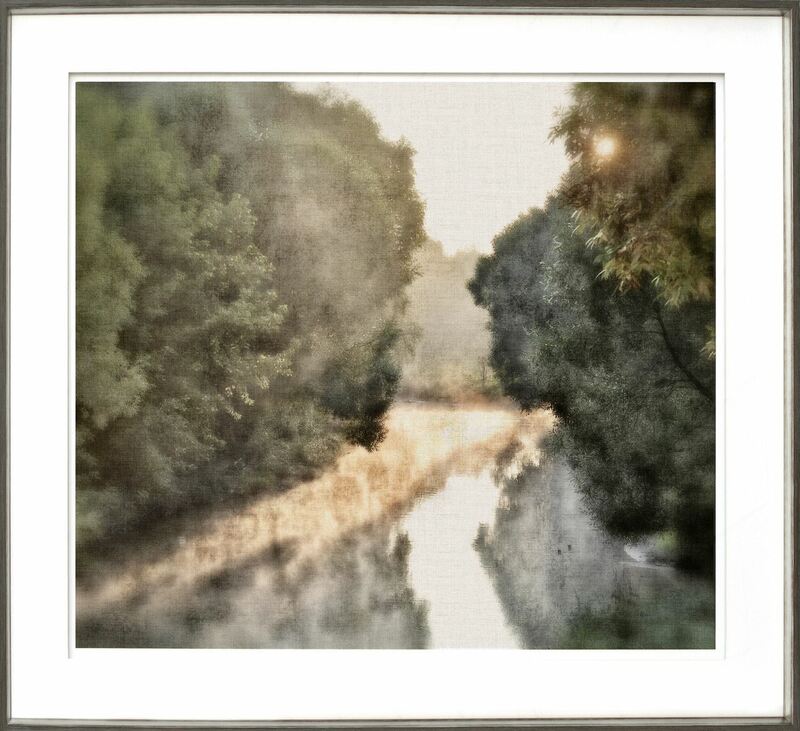 A quiet morning and the sun is burning off the mist above a slow-moving creek. You could imagine a deer emerging from the forest in this tranquil scene. Soft linen texture adds a contemporary vibe to this transitional piece. Here under glass with raised matte and silver inner lipped, grey wash frame.